Once an opportunist, always an opportunist. The leader of Britain's Labour Party Jeremy Corbyn declined to take a firm and clear position about the developments in Venezuela. Instead, he condemned "violence done by all sides", thus calling for dialogue to end civil unrest. Speaking after an event in Crawley, West Sussex, Corbyn sounded more like the Pope who wishes "the end of violence". “I’m very sad at the lives that have been lost in Venezuela” he said. “The people who have died – either those on the streets or security forces that have been attacked by people on the street – all of those lives are terrible for the loss of them” he said. “There has to be a dialogue and a process that respects the independence of the judiciary and respects the human rights of all” said Corbyn. Asked by the reporters whether he condemned Maduro’s actions, Corbyn said: “What I condemn is the violence that’s been done by any side, by all sides, in all this. Violence is not going to solve the issue". 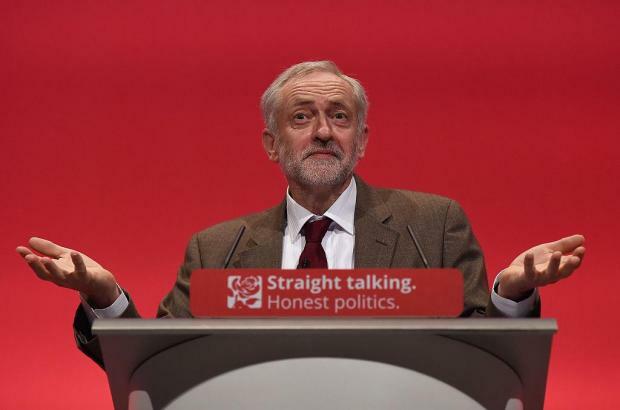 Apparently, Mr.Corbyn didn't find a single word to say about the- led by the U.S.- imperialist interference in Venezuela. A supposed supporter of Venezuela's Bolivarian process, Corbyn decided to remain silent about the threats of the U.S. government against Venezuela and the imperialist plans for regime overthrow. Being a political 'Pontius Pilate', Jeremy Corbyn said he supported France’s call for peace talks, and said it “should be regionally based to improve the situation there”. “There has to be respect for the constitution and respect for the independence of the judiciary,” he added. This controversial and opportunistic stance of Corbyn doesn't surprise us at all. It is in the political nature of social democrats, pure servants of the capitalist system who appear with a supposedly left-wing "radical" mask, to avoid taking a firm and clear position against imperialism. Despite their rhetoric, social democrats like Corbyn will be always, sooner or later, exposed as pure servants of the bourgeois interests.